70 emoji beads and a gel cord. Create five stretchy emoji bracelets for you and your friends with this on-trend jewelry kit. 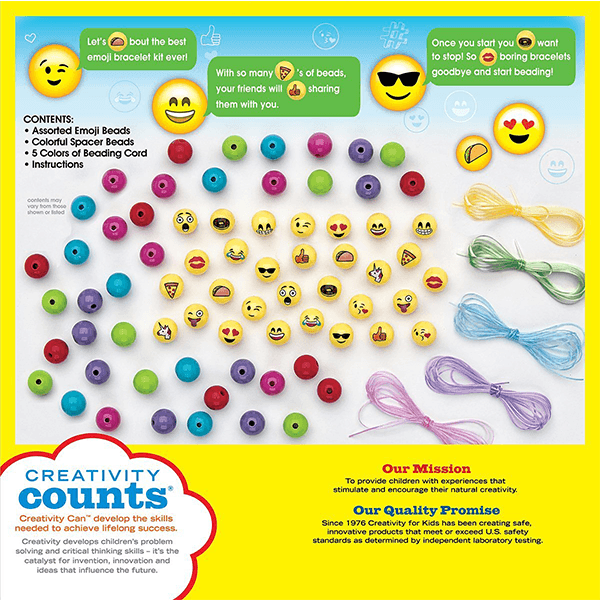 Use the variety of beads featuring some of the most popular emoji characters to make bracelets that uniquely express your mood. 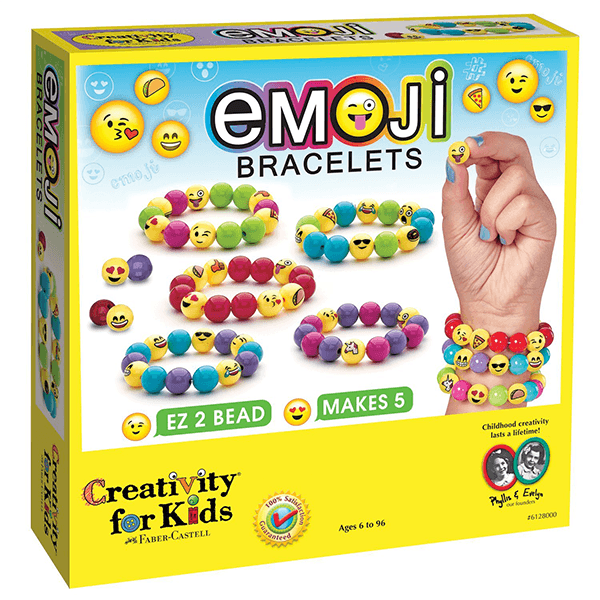 If You Liked Creativity for Kids Emoji Bead Bracelet Craft Kit, See More Related Products Below!